Love the added blue triangles! oh this is fun! I have a stack of black & whites I'm not sure what to do with, so I'll enjoy seeing yours come along! 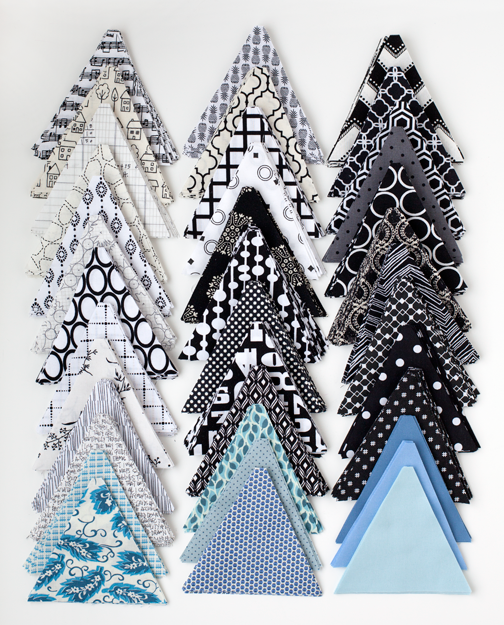 The blue pops are the perfect complement to the black and white! Don't you just love triangles. Your look great. Love the colors. 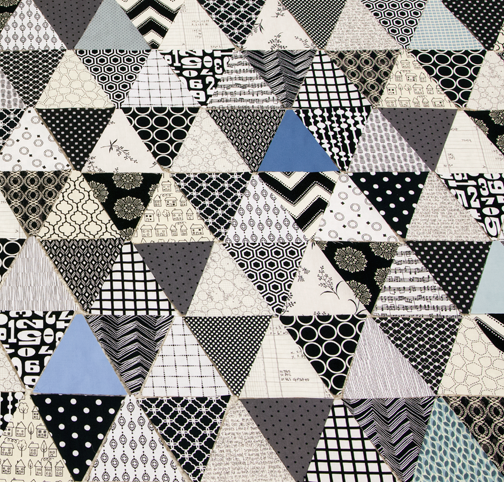 I am a big fan of black and white quilts. Just lovely - simple elegance! I really love the black and white prints you've chosen. 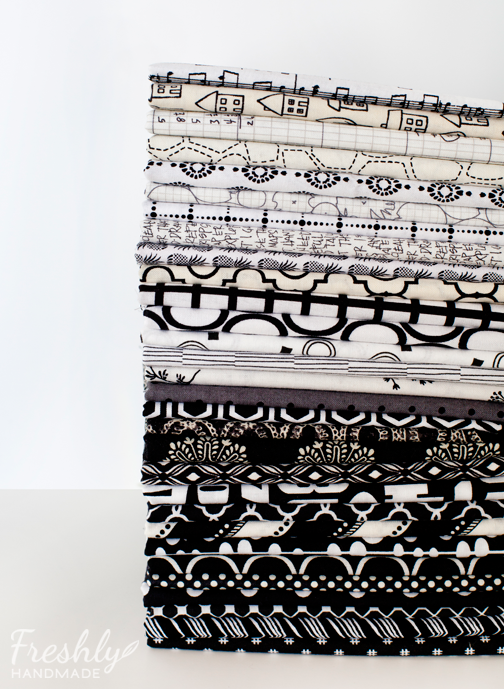 I'm collecting b & w for a quilt on my bucket list and I'm having a hard time finding nice prints. Your fabrics give me hope! Pretty! Excellent choice to mix the blue in with the black and white. I love the blues added in. They're a little pop of colour without being so bright that they become the focus. Can't wait to see how it looks when sewn together. 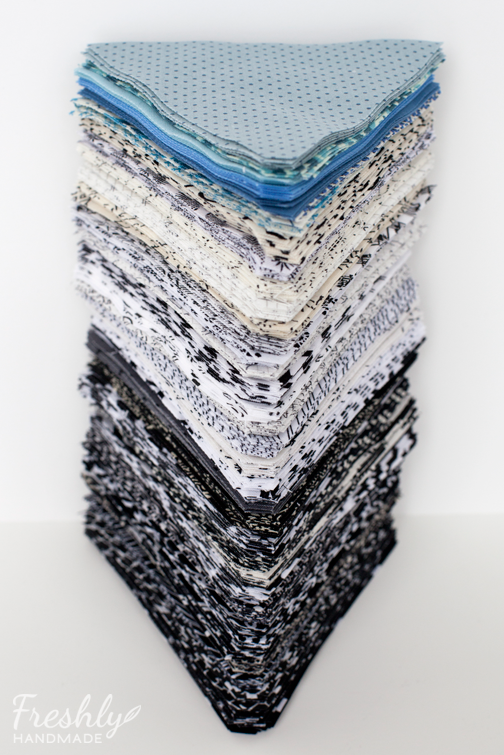 I love everything about these fabrics! So pretty! May I ask who the b&w fabrics are from? Gorgeous!!! It's really very striking! Can't wait to see the finished quilt. Did you use a specific pattern, and if so which one? If not, what size are your triangles?